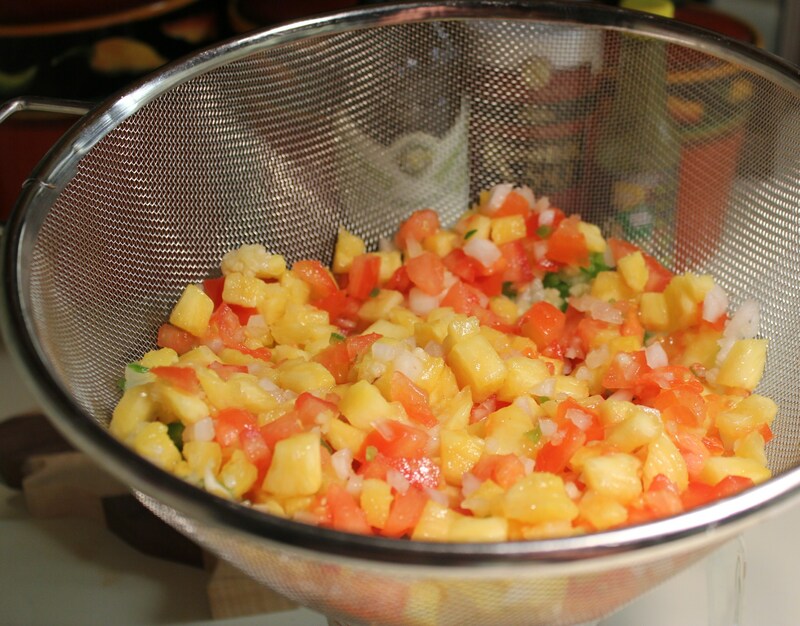 Place the pineapple, tomatoes, onions, garlic and jalapeño pepper in a large colander to drain off any extra juice. I put a paper towel on top and gently press it to get rid of excess moisture from the fruit, etc. While that is draining, dice the avocado and sprinkle it with some of the lime juice to help it avoid turning brown. 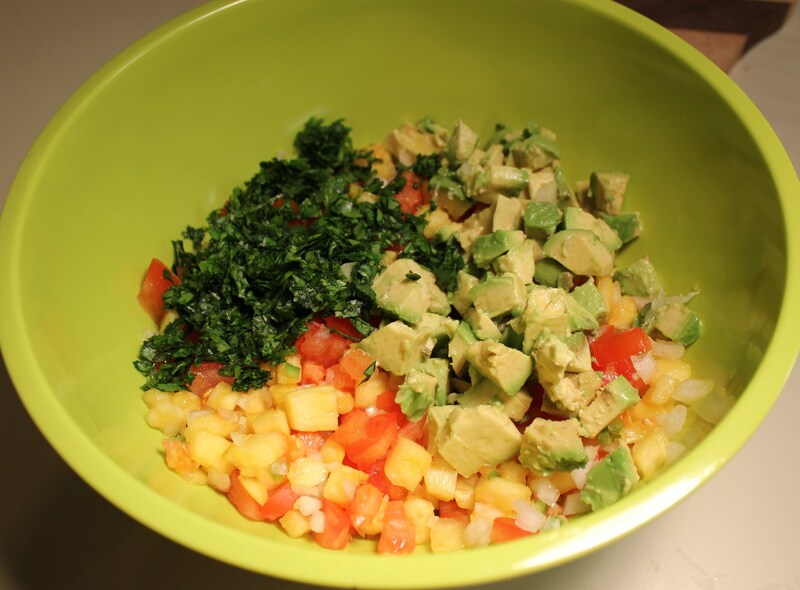 Place the pineapple mixture, cilantro and avocados in a large bowl and blend well. Add the rest of the lime juice, olive oil, lime juice salt and hot sauce. Stir together until blended. Refrigerate in a covered bowl until ready to serve. 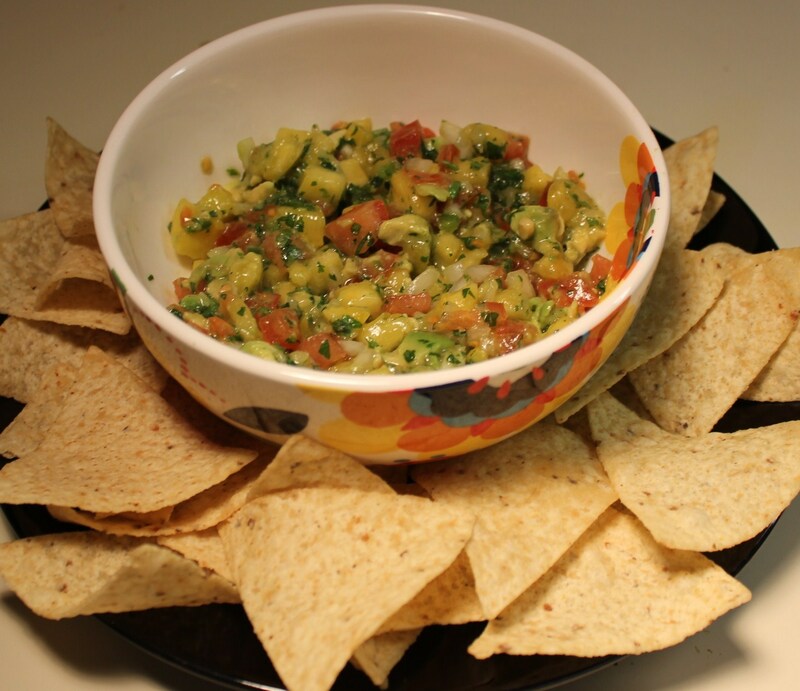 As previously mentioned, this goes great with tortilla chips or as a topping for various types of fish. Eat dink and be merry! Looks great! I’ll try it. It is so refreshing – the fresh pineapple adds quite a bit to it! ~ Optional Step. 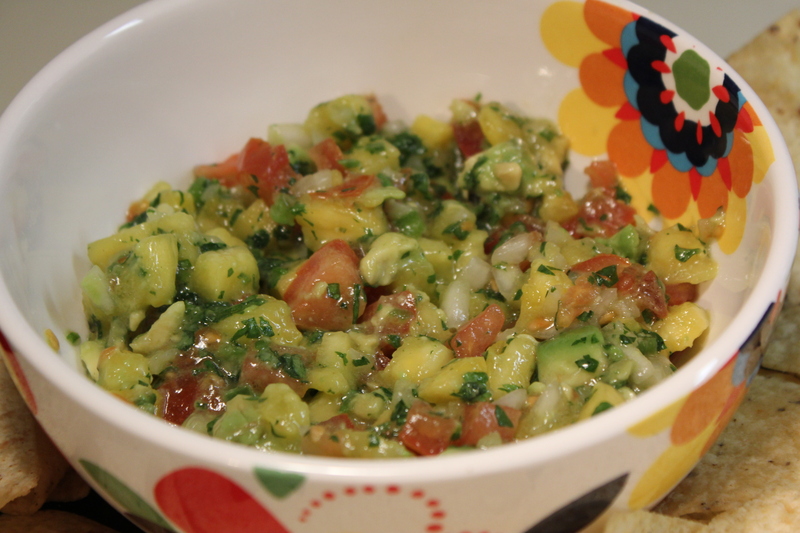 I love grilled pineapple, and, I love this salsa made with grilled pineapple. If you do too, grill the pineapple slices on both sides, turning only once, just until grill marks appear, about 2 minutes per side. 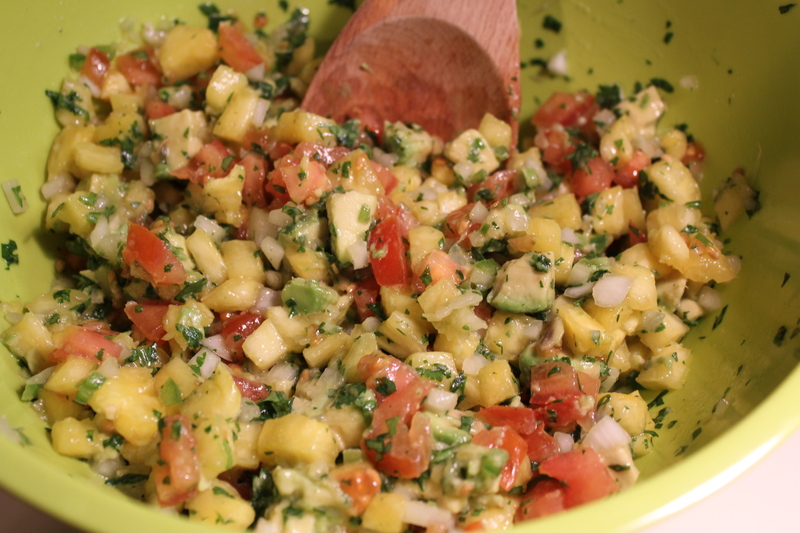 Remove from grill and let cool prior to dicing and adding to the salsa. Proceed with the rest of this recipe as directed. Thanks for the suggestion, Esther! 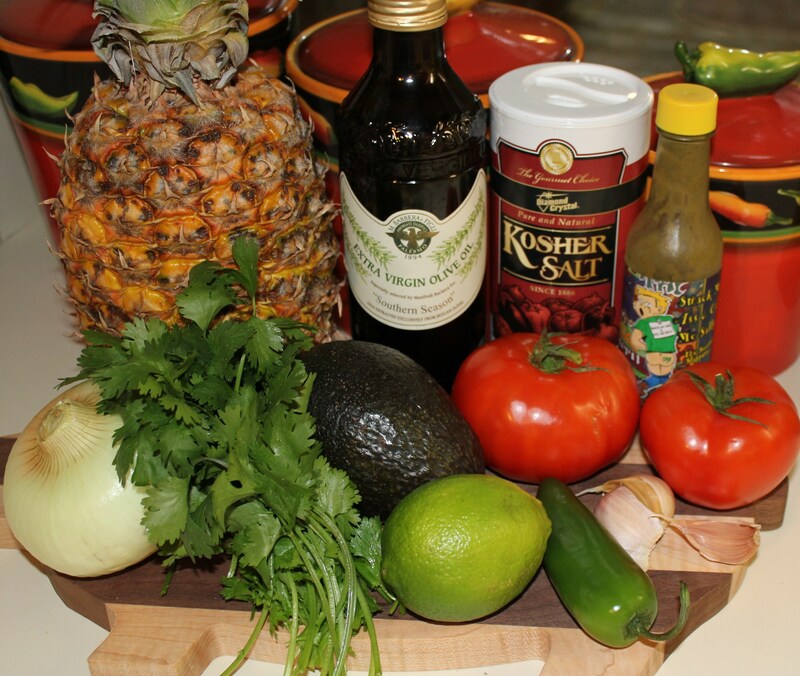 I think grilling the pineapple will give it a nice smoky flavor – can’t wait to try!